4400501 A316 Litronic LIEBHERR Wheel Material Handler A316 Litronic Industrial Spare parts catalog. Operator's Manual. Service Manual and additional technical information for repair and operating. 4400502 A316 Litronic Tier 3A LIEBHERR Wheel Material Handler A316 Litronic Industrial Tier 3A Spare parts catalog. Operator's Manual. Service Manual and additional technical information for repair and operating. 4400503 A902 Litronic LIEBHERR Wheel Material Handler A902 Litronic Industrial Spare parts catalog. Operator's Manual. Service Manual and additional technical information for repair and operating. 4400504 A902MH Litronic LIEBHERR Wheel Material Handler A902MH Litronic Industrial Spare parts catalog. Operator's Manual. Service Manual and additional technical information for repair and operating. 4400505 A904 Litronic LIEBHERR Wheel Material Handler A904 Litronic Industrial Spare parts catalog. Operator's Manual. Service Manual and additional technical information for repair and operating. 4400506 A904C Litronic LIEBHERR Wheel Material Handler A904C Litronic Industrial Spare parts catalog. Operator's Manual. Service Manual and additional technical information for repair and operating. 4400507 A904C Litronic Tier 3A LIEBHERR Wheel Material Handler A904C Litronic Industrial Tier 3A Spare parts catalog. Operator's Manual. Service Manual and additional technical information for repair and operating. 4400508 A904C-HD Litronic Tier 3A LIEBHERR Wheel Material Handler A904C-HD Litronic Industrial Tier 3A Spare parts catalog. Operator's Manual. Service Manual and additional technical information for repair and operating. 4400509 A904MH Litronic LIEBHERR Wheel Material Handler A904MH Litronic Industrial Spare parts catalog. Operator's Manual. Service Manual and additional technical information for repair and operating. 4400510 A924C Litronic Tier 3A LIEBHERR Wheel Material Handler A924C Litronic Industrial Tier 3A Spare parts catalog. Operator's Manual. Service Manual and additional technical information for repair and operating. 4400511 A924C-HD Litronic Tier 3A LIEBHERR Wheel Material HandlerA924C-HD Litronic Industrial Tier 3A Spare parts catalog. Operator's Manual. Service Manual and additional technical information for repair and operating. 4400512 A932 Litronic LIEBHERR Wheel Material HandlerA932 Litronic Industrial Spare parts catalog. Operator's Manual. Service Manual and additional technical information for repair and operating. 4400513 A932HD Litronic LIEBHERR Wheel Material Handler A932HD Litronic Industrial Spare parts catalog. Operator's Manual. Service Manual and additional technical information for repair and operating. 4400514 A934 Litronic LIEBHERR Wheel Material Handler A934 Litronic Industrial Spare parts catalog. Operator's Manual. Service Manual and additional technical information for repair and operating. 4400515 A934B Litronic LIEBHERR Wheel Material Handler A934B Litronic Industrial Spare parts catalog. Operator's Manual. Service Manual and additional technical information for repair and operating. 4400516 A934B-HD Litronic LIEBHERR Wheel Material Handler A934B-HD Litronic Industrial Spare parts catalog. Operator's Manual. Service Manual and additional technical information for repair and operating. 4400517 A934C Litronic Tier 3A LIEBHERR Wheel Material Handler A934C Litronic Industrial Tier 3A Spare parts catalog. Operator's Manual. Service Manual and additional technical information for repair and operating. 4400518 A934C-HD Litronic Tier 3A LIEBHERR Wheel Material Handler A934C-HD Litronic Industrial Tier 3A Spare parts catalog. Operator's Manual. Service Manual and additional technical information for repair and operating. 4400519 A934C-HD Litronic Tier 3A LIEBHERR Wheel Material Handler A934C-HD Litronic Industrial Tier 3A Spare parts catalog. Operator's Manual. Service Manual and additional technical information for repair and operating. 4400520 A934HD Litronic LIEBHERR Wheel Material Handler A934HD Litronic Industrial Spare parts catalog. Operator's Manual. Service Manual and additional technical information for repair and operating. 4400521 A944B-HD Litronic LIEBHERR Wheel Material Handler A944B-HD Litronic Industrial Spare parts catalog. Operator's Manual. Service Manual and additional technical information for repair and operating. 4400522 A944HD Litronic LIEBHERR Wheel Material Handler A944HD Litronic Industrial Spare parts catalog. Operator's Manual. Service Manual and additional technical information for repair and operating. 4400523 A944?-HD Litronic Tier 3A LIEBHERR Wheel Material Handler A944?-HD Litronic Industrial Tier 3A Spare parts catalog. Operator's Manual. Service Manual and additional technical information for repair and operating. 4400524 A954 Litronic LIEBHERR Wheel Material Handler A954 Litronic Industrial Spare parts catalog. Operator's Manual. Service Manual and additional technical information for repair and operating. 4400525 A954B-HD Litronic LIEBHERR Wheel Material Handler A954B-HD Litronic Industrial Spare parts catalog. Operator's Manual. Service Manual and additional technical information for repair and operating. 4400526 A954C-HD Litronic Tier 3A LIEBHERR Wheel Material Handler A954C-HD Litronic Industrial Tier 3A Spare parts catalog. Operator's Manual. Service Manual and additional technical information for repair and operating. 4400527 A974 Litronic LIEBHERR Wheel Material Handler A974 Litronic Industrial Spare parts catalog. Operator's Manual. Service Manual and additional technical information for repair and operating. 4400528 A974B Litronic LIEBHERR Wheel Material Handler A974B Litronic Industrial Spare parts catalog. Operator's Manual. Service Manual and additional technical information for repair and operating. 4400530 LH120C Litronic Tier 3A LIEBHERR Crawler Material Handler, Excavator LH120C Litronic Industrial Tier 3A Operator's Manual. Service Manual and additional technical information for repair and operating. 4400531 R317 Litronic Tier 3 LIEBHERR Crawler Material Handler, Excavator R317 Litronic Industrial Tier 3 Operator's Manual. Service Manual and additional technical information for repair and operating. 4400532 R954C-HR Litronic Tier 3 LIEBHERR Crawler Material Handler, ExcavatorR954C-HR Litronic Industrial Tier 3 Operator's Manual. 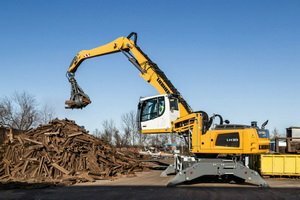 4400533 R984C Litronic Tier 3 LIEBHERR Crawler Material Handler, Excavator R984C Litronic Industrial Tier 3 Operator's Manual. Service Manual and additional technical information for repair and operating. 4400535 P902E Litronic LIEBHERR Pontoone Material Handler, ExcavatorP902E Litronic Operator's Manual. 4400536 P924C Litronic LIEBHERR Pontoone Material Handler, Excavator P924C Litronic Operator's Manual. 4400537 EP934C Litronic LIEBHERR Pontoone Material Handler, Excavator EP934C Litronic Operator's Manual. 4400538 P944 Litronic LIEBHERR Pontoone Material Handler, ExcavatorP944 Litronic Operator's Manual. 4400539 P982 Litronic LIEBHERR Pontoone Material Handler, Excavator P982 Litronic Spare parts catalog. 4400540 P984 Litronic LIEBHERR Pontoone Material Handler, Excavator P984 Litronic Spare parts catalog. 4400541 P992 Litronic LIEBHERR Pontoone Material Handler, Excavator P992 Litronic Spare parts catalog. 4400542 P994 Litronic LIEBHERR Pontoone Material Handler, Excavator P994 Litronic Spare parts catalog. 4400543 P995 Litronic LIEBHERR Pontoone Material Handler, Excavator P995 Litronic Spare parts catalog. 4400544 P996 Litronic LIEBHERR Pontoone Material Handler, Excavator P996 Litronic Spare parts catalog. 4400545 P9250 Litronic LIEBHERR Pontoone Material Handler, Excavator P9250 Litronic Spare parts catalog. 4400546 P9350 Litronic LIEBHERR Pontoone Material Handler, Excavator P9350 Litronic Spare parts catalog.